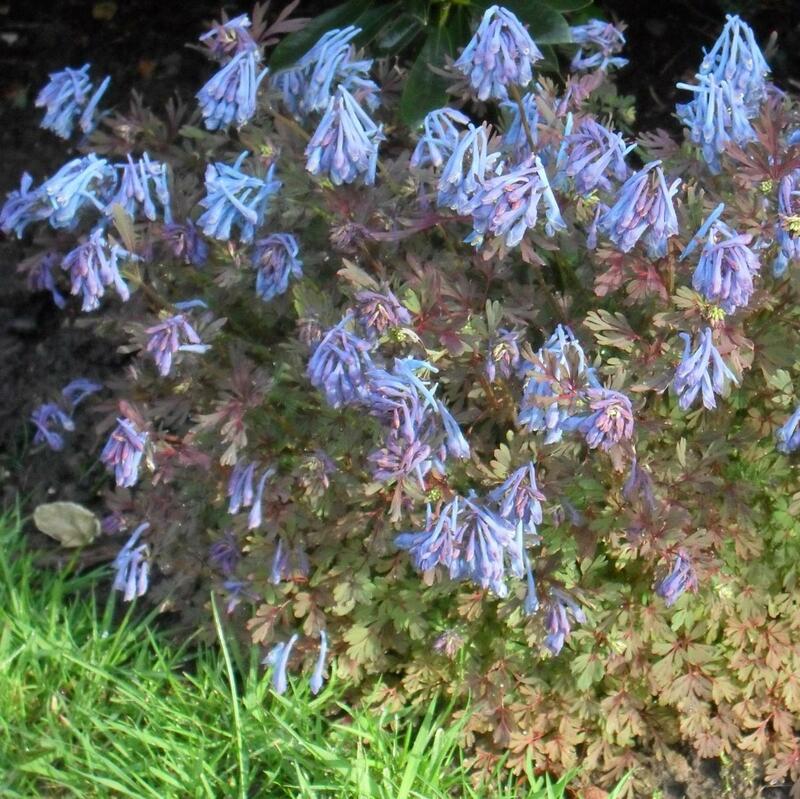 Corydalis flexuosa ‘Purple Leaf’ (Syn. 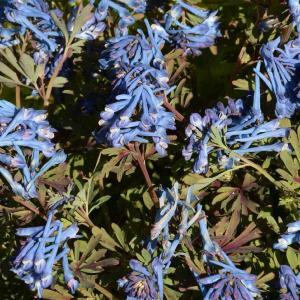 Corydalis ‘Blue Dragon’) A delightful low growing hardy perennial species forming compact mounds of purple tinged ferny foliage, held aloft of which are charming spikes of scented deep blue flowers from spring into early summer. For moisture retentive soil in shade or half shade. 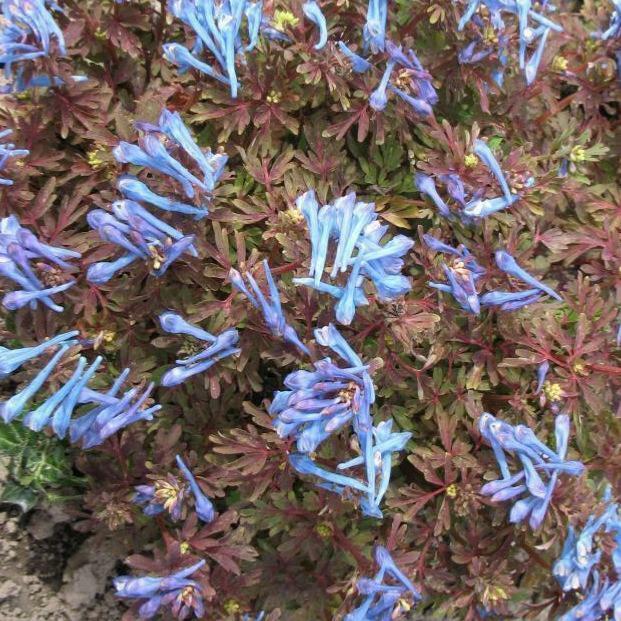 These are not complicated plants to grow, but plants may go dormant in midsummer, sometimes coming up again in the autumn or otherwise the following spring. Choose a rich, woodland soil that remains evenly moist.